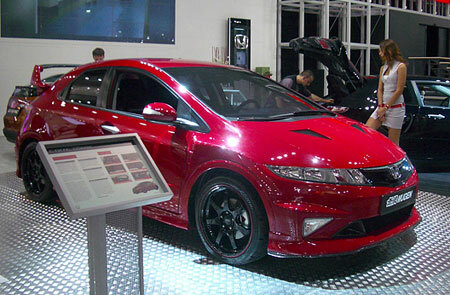 Mugen showcased this concept model called the Honda Civic 5D MUGEN at the 2008 Moscow International Automobile Salon. It’s based on the 5-door Civic hatchback sold in European markets. 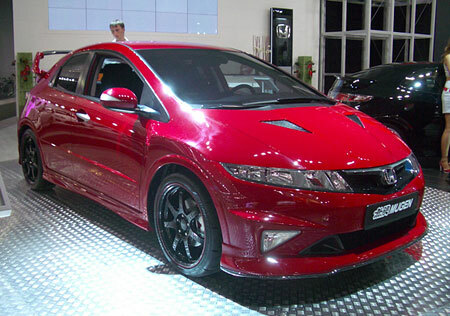 You can see the family resemblance to the Honda Civic Mugen RR concept shown back in 2007 thanks to the usage of triangular shapes in the various design details of the kit. 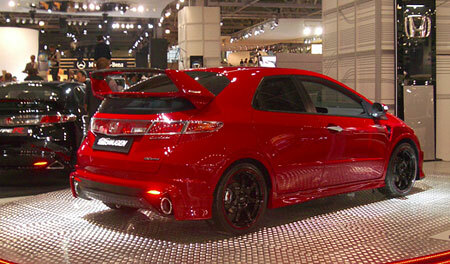 The Civic Mugen RR went into a 300 unit limited production so we may see the Civic 5D MUGEN entering production as well. Look after the jump for a few more shots. Previous Post: Cheaper Honda hybrid hatch this week?